He is a pharmacologist who was an academic in the University of Nottingham Medical School from 1985 until 2015 when he left to work with a small drug discovery company that he co-founded. David currently holds positions as Professor Emeritus at the University of Nottingham and Visiting Professor at the School of Pharmacy in Liverpool. His research career was and continues to be focussed on understanding how drugs work in brain diseases and chronic pain states and the development of new medicines. 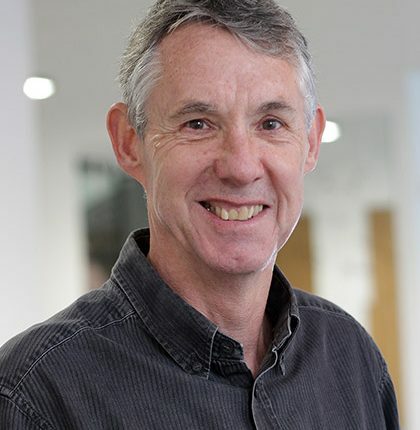 David joined the FRAME Board of Trustees in 2000 and he has been particularly concerned with overseeing the basic research activities carried out by the FRAME Alternatives Laboratory. He believes that although experiments using animals have yielded information important to advances in public health, it is now clear that there is a scientific as well as a moral imperative to find better ways of doing biomedical research without the use of animals.